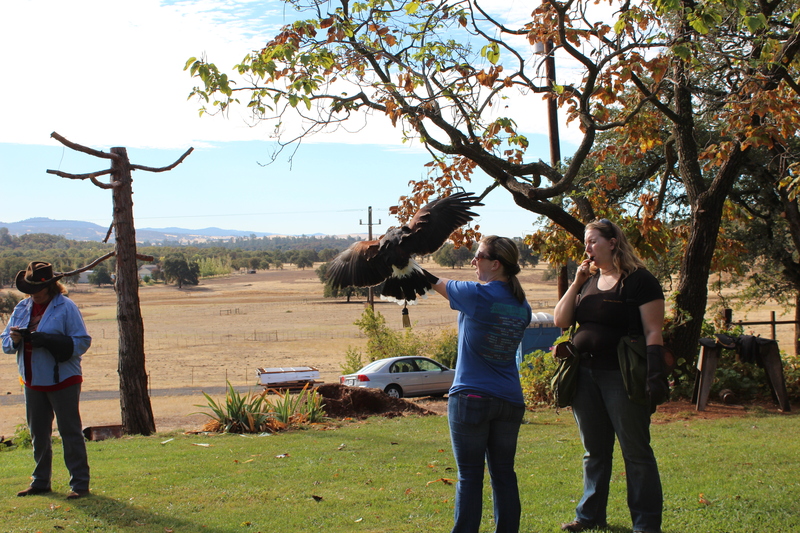 Yup, our Groupon was for a falconry lesson at West Coast Falconry. Neither of us really knew what to expect but thought it would be a fun experience. It definitely was! We got there and spent some time checking the falcons and hawks out. They are absolutely beautiful birds! 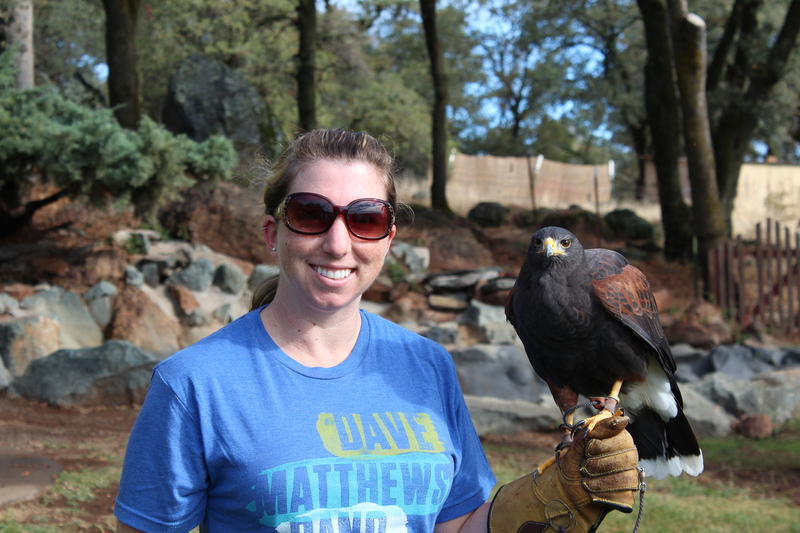 Our hawk (pictured above on my arm) was a beautiful Harris Hawk named Don Diego Alejandro Santiago Saragossa Inigo Montoya Del Gato, or “Diego” to his buddies. He was really well behaved and I was amazed at how gently he landed on me! We used the hawk because they are more like a pack animal – in the wild they hunt with their family group while most other birds of prey prefer to hunt alone. Apparently the falcons are a bit difficult and have to get to know their trainer before they cooperate. They’ve actually become one of the most popular hunting birds in the world! Diego was a great bird… he did exactly what we asked him and showed just how smart these birds actually are! I’ll post the rest of the pictures to my Facebook page… head on over to check them out!